Unity and sacrifice in the face of tragedy as South American footbal legends Ronaldinho and Riquelme reportedly consider coming out of retirement to play for Chapecoense following a huge social media campaign. It was a disaster that shook the sporting world and the world at large, Chapecoense tragically lost 19 players when a plane crashed on route to Colombia – killing 71 people on board. Honour and tribute to the many dead.The footballing world has come together to pay tribute to the football side and their families that left just three Chapecoense players surviving the plane crash. Many heartfelt offers in the wake of the crash.Whilst Brazilian sides have offered to loan players to the club free of charge, reports are circulating that Ronaldinho and Riquelme have offered to dust off their boots pull on the green and white of Chapecoense. 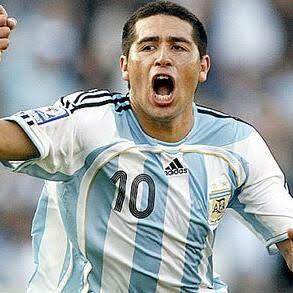 Juan Ramon Riquelme, who last played for Argentinos Juniors in 2014, has won Argentina’s Footballer of the Year four times whilst at his brilliant peak, Ronaldinho was crowned world footballer of the year in 2005. Possible change of plans for the Brazillian great. Although Ronaldinho is currently without a club after being released from Fluminense after just seven games, he was thought to be considering a final swansong in the MLS. The two iconin stars have 147 combined caps for their countries Brazil and Argentina. They had one more league game to play this season. Chapecoense are set to play their final league match of the season on December 11 despite the recent heartbreaking events. They are due to play Atletico Mineiro in front of their own supporters in a match that will be one of emotion and memory. Vigils and memorials have been held across the world as people are still trying to come to terms with the horrific crash that took the lives of players, coaches,journalists and flight crew.